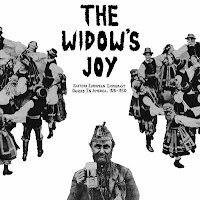 THE HEDONIST JIVE: "THE WIDOW'S JOY"
A name that's aggressively and deservedly making the round of throwback hipsters' lips this year is that of Ian Nagoski, a youngish man who right now is probably the most informed and interesting world musical curator around. As a collector of pre-WWII 78rpm records from around the planet, he's amassed a relatively low-cost collection of some of the coolest and most lost-to-time recordings of the first half of last century, and he has the refreshing "share it all with the people" aesthetic that marks the best curators and collectors. By focusing on ethnic music recorded in the village vernacular – particularly things recorded in the United States, by newly-arrived immigrants to the USA – he's preserving a terribly ignored slice of American music, ignored for never having been heretofore acknowledged as American. 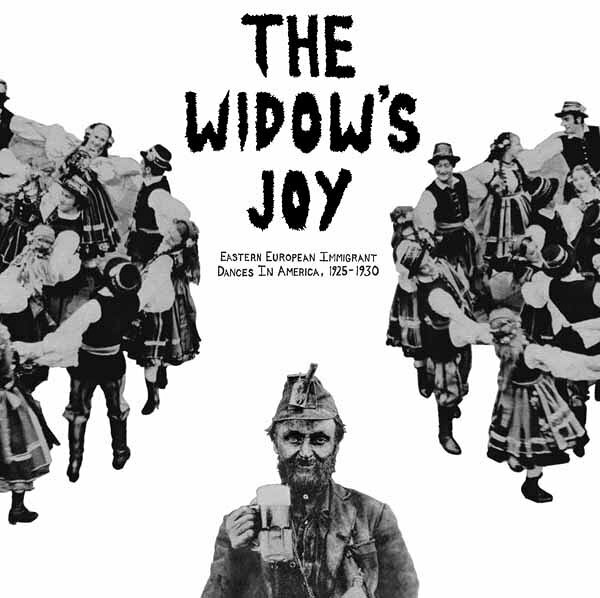 "THE WIDOW'S JOY" is an LP-only compilation of fresh-off-the-boat, Ellis Islanded Eastern Europe immigrants from Poland, Ukraine and the rest of the recently imploded Austro-Hungarian empire from 1925-1930. It's subtitled "Eastern European Immigrant Dances in American 1925-1930" and is definitely an upbeat "party record", as these things go. (Oh, and by the way – if you're blanching at the "LP-only" format, don't worry, I got digital download codes with the LP I ordered on the Sound American website). The 16 tracks are pulled together in a thematic representation of things people danced to back then, usually to blow off steam from their awful gruntwork jobs. You're invited to mentally picture the musicians as providing succor for the huddled masses who've recently yearned to be free, and imagine them all drinking mightily and dancing heavily to these very high-energy ethnic songs. It's certainly not hard to do so. I'll post a track for you here so you see what I mean. Meanwhile, feel free to get your order in for the LP here before they're all gone. "AIMER ET PERDE – TO LOVE AND TO LOSE"